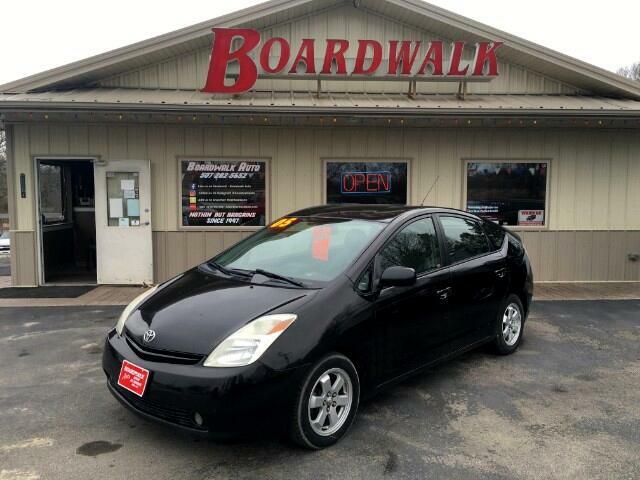 Won't find a better deal on a clean-title, good-hybrid-battery, 2nd Generation Prius anywhere else! We know these cars inside and out and have already taken care of the scariest repair for you: We've replaced the hybrid battery pack, and in addition to that: All new valve cover gasket, spark plugs and more. It's in great shape for the age and mileage, and ready to go for another 300,000 miles. And hey, gas is going back up again! Visit Boardwalk Auto online at boardwalkauto.com to see more pictures of this vehicle or call us at 507-282-5652 today to schedule your test drive. Message: Thought you might be interested in this 2005 Toyota Prius.